Mr. Berg holds a Bachelor’s Degree in Violin Pedagogy from the Royal Swedish Music Academy at Stockholm University, and a Master’s Degree in Music Performance and Suzuki Pedagogy in the String Development Program at the Southern Illinois University at Edwardsville. He is strongly dedicated to the teachings of Dr. Shinichi Suzuki, and his own teacher, Professor John Kendall. 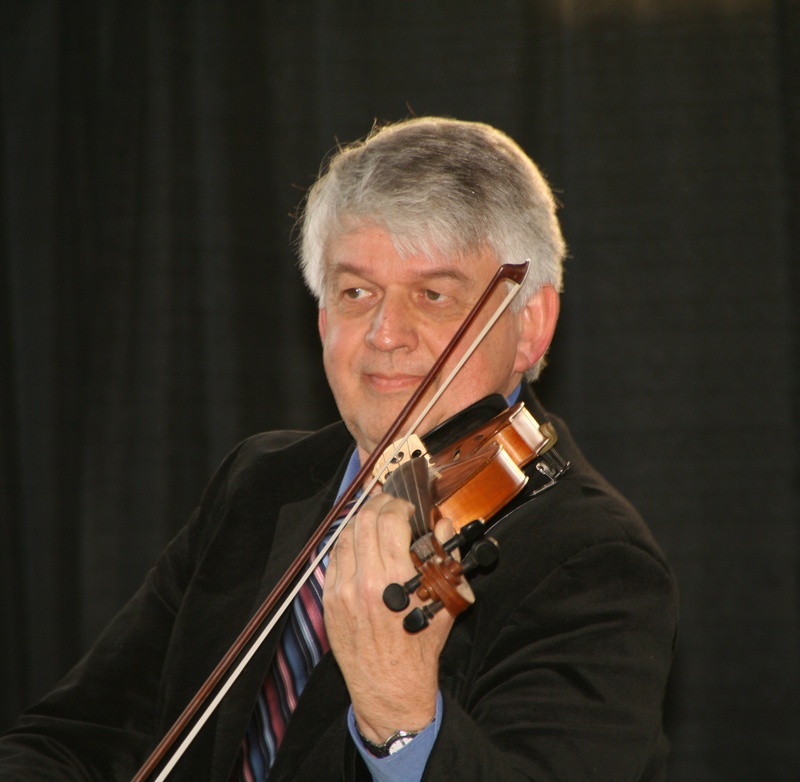 He has 36 years of music teaching experience, the last 30 years including the Suzuki Method. He conducts parent and teacher education training classes throughout the United States and Europe. Mr. Berg teaches violin, and viola, both Suzuki and traditional methods. He conducts orchestra and coaches chamber music. Among other music styles, he likes to utilize fiddle tunes as part of his teaching as a complement to classical instrumental studies. Besides his time with SSA, he is also Director of the Suzuki Program at the Crowden Music Center in Berkeley. He teaches violin at Crowden and conducts the Crowden Summer Suzuki Workshop, formerly the SSA Suzuki Workshop. Mr. Berg has a long background in voice and singing. He is a trained barytone with many years of vocal studies in Stockholm. As a member of several choirs and choruses in Sweden his repertoire streches from medivial music to contemporary works. As a member of the Stockholm Motet Choir he can be heard on the BIS CD “Scandinavian Choir Music.” He also performs on the Erato recording of “Figure Humaine” by F. Polenc, with the Stockholm YMCA Chamber Chorus. Well-known chorus conductors of great importance for him are Dan Olof Stenlund, Professor at the Copenhagen Music Conservatory, and Eric Ericsson, Professor emeritus at the Royal Swedish Music Academy in Stockholm. Goran Berg writes original arrangements of Scandinavian fiddle music, both for violins and orchestra/string quartet. His “Fiddle Heart” books are used by educators internationally. He has also published string arrangements in the new Eclectic Strings Series, Book 1, at Alfred Publications; Violins Go Vivaldi / Eclectic Strings. Christina Berg completed music studies at the Royal Music Academy in Stockholm. She was a music and elementary school teacher for fifteen years in Sweden, and has taught guitar in the Tri-Valley Area for over a decade. She is a certified Kindermusik Educator, Montessori instructor, and author of music education materials used to train other music educators. At SSA, she teaches her own guitar program, called Guitar with Christina. It emphasizes chord play as accompaniment to own singing. Her Kindermusik classes are organized under the auspices of Livermore Area Recreation and Park District (LARPD). Christina and Goran Berg are the parents of three adult children, and have two grandchildren. All three children took Suzuki violin and cello throughout their childhood. Until the children moved on to college, the Berg family played as a quartet. The Berg Quartet performed at numerous weddings and church events at the Swedish Church in San Francisco. The quartet can also be heard on the Fiddle Heart CD recordings, complement to the books with the same name. Carol grew up in Cleveland, Ohio and received undergraduate and graduate degrees in Music Education from Bowling Green State University and Miami University in Ohio. After teaching in a Suzuki program in the Cleveland Catholic Schools for 2 years, she studied the Suzuki Method in-depth with Suzuki Pioneer, John Kendall, at Southern Illinois University. Carol has attended many Suzuki and traditional string training sessions in Michigan, Wisconsin, Tennessee, New York, Illinois, California, Hawaii, Nevada, New Mexico and also had the opportunity to study with Dr. Suzuki in Japan. in playing and having fun with music. Carol lives in Richmond with her husband, Bob, and 3 cats: Jack, Lucy and Ethel. Joyce Park was born in Seoul, Korea and moved to Piedmont, CA at the age of 10. She received her Bachelor of Music in Cello Performance and Music Education at California State University, Sacramento where she was a student of Andrew Luchansky. At Sacramento State she was the winner of the 2014 concerto competition and performed as a soloist with the Symphony Orchestra as well as being an apprentice teacher in the String Project. She has recently completed her Masters Degree from San Francisco Conservatory of Music. She also has Suzuki teacher training. For the past five years, she has been teaching privately in the Sacramento area and the bay area at SSA and New World Music Academy (NWMA) in Pleasanton. She is currently the cellist in the Mersonacta Quartet where she performs throughout California. Aside from cello, she is an active pianist and is currently the piano accompanist at the S.A. Church in Sunnyvale.